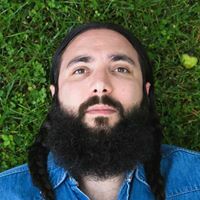 Details: Ron Pope (born July 23, 1983) is an American melodic and acoustic pop singer-songwriter and guitarist who is best known for his 2008 debut album “Daylight”, hailing from Marietta, Georgia, U.S. Inspired by Garden State native Bruce Springsteen from an early age, Pope first picked up the guitar during middle school. The singer went on to form a number of bands in high school to compete in talent shows before enrolling at Rutgers University to play baseball. In 2003 a career-ruining injury led Pope to transfer to New York University where he immersed himself in his pursuit of music, later meeting Zach Berkman and Paul Hammer. Alongside Chris Kienel, Will Frish, and Mike Clifford, the candid songwriter formed the band The District, which generated a great deal of exposure for a college band.